Field Mechanical with brushed case? 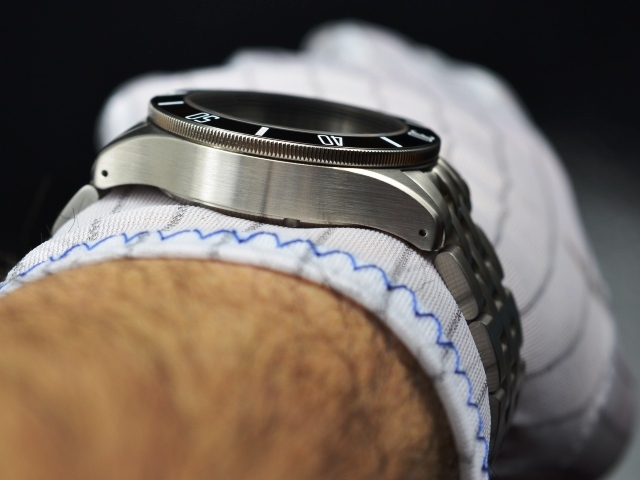 Thread: Field Mechanical with brushed case? Did Hamilton ever make the Field Mechanical with a brushed case? I could have sworn I saw a guy wearing one today at the line at grocery. It wasn’t polished for sure, and definitely not bead blasted. Was that nice, dull brushed finish. Re: Field Mechanical with brushed case? Sure. The hand-winding ones, called either the Khaki Field Mechanical or some variation of “Officer” (depends on which copy you’re reading) have brushed cases. The autos often have some polished bits. Of course, they’ve made lots of versions, so there might be some mix-and-match. 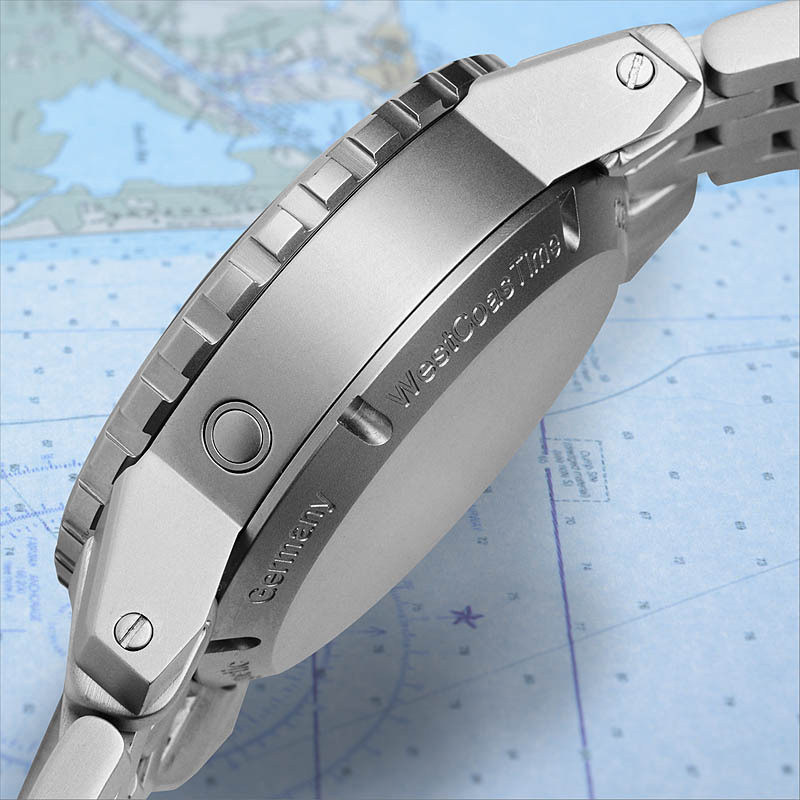 But the models called “Khaki Field Mechanical” refer to hand-winding and are brushed from what I’ve seen. Here’s mine. Brushed all the way. ^^That case on the watch you've posted is NOT brushed. I own the same watch, and it's got a bead blasted finish. BRUSHED FINISH - notice the "lines"
(Hope you can see the difference on this case, vs what you posted). 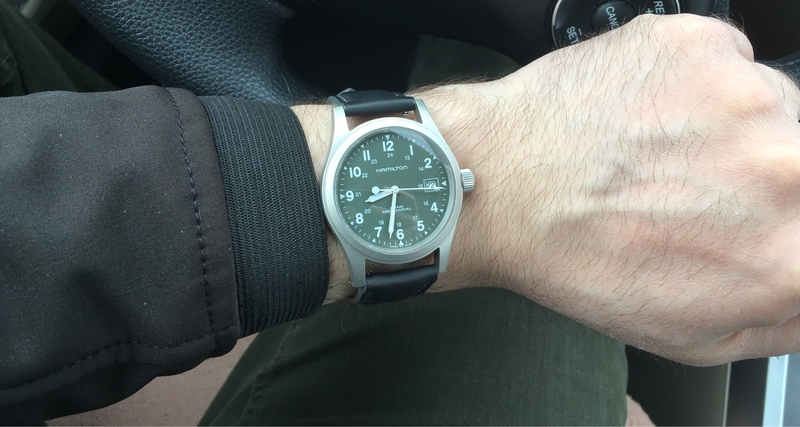 steinercat, no I don't recall seeing a mechanical/handwound khaki with a brushed finish in recent history. All have carried either a blasted finish, or (later this year) a PVD coated blasted finish. Last edited by Impulse; 2 Weeks Ago at 18:14. Quite right! Thank you for correcting me. I was mentally somewhere else on that as I was having a chat with someone who asked if the auto version came in a non-polished version. My wires got crossed. Thanks for the photo examples. Yeps! It was definitely a brushed case I saw. It actually looked very nice (or maybe just because it was different). I know it wasn’t a Seiko mod, as it was clearly a thinner 38mm case. Google doesn’t turn up any brushed Hamilton models.